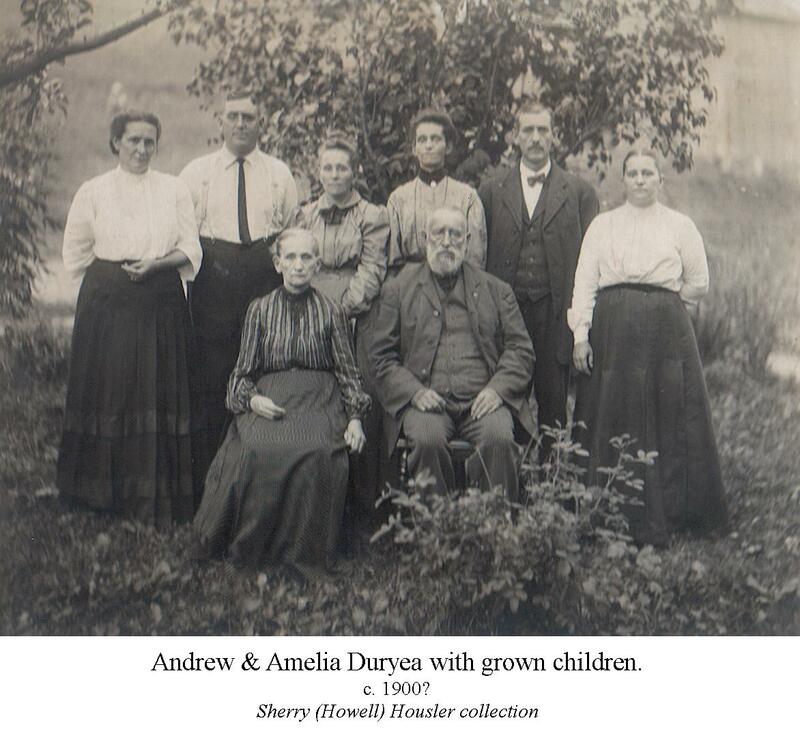 Today’s post features the Duryea family from my wife’s side of the family tree. The older gentleman would be my wife’s great-great-great grandfather Andrew Jarvis Duryea (DOB: 24 Jul 1833, Charleston (Tioga County), PA). Andrew’s first wife, Sarah Jones, (DOB: 22 Feb 1831, DOD: 10 Oct 1862). Their only child was Josephine (DOB: 3 May 1862). Sarah died when Josephine was only five months old. Josephine is the first woman on the left and she was my wife’s great-great grandmother, marrying Cristopher Whittemore on 8 Mar 1884. Andrew’s second wife, pictured here, was Amelia Parasade Harris (DOB: 24 Jan 1824, Richmond, PA). Together they had 5 children. Continuing from Josephine, the five children were: Arthur, Grace, Gertrude, Lyman, and Ada. Sarah’s obituary apparently was in the TIOGA AGITATOR newspaper 5 Nov 1862 (Tioga County, PA), but I have only notes left by my in-laws’ ancestors. I hope to someday get a copy of that obituary. 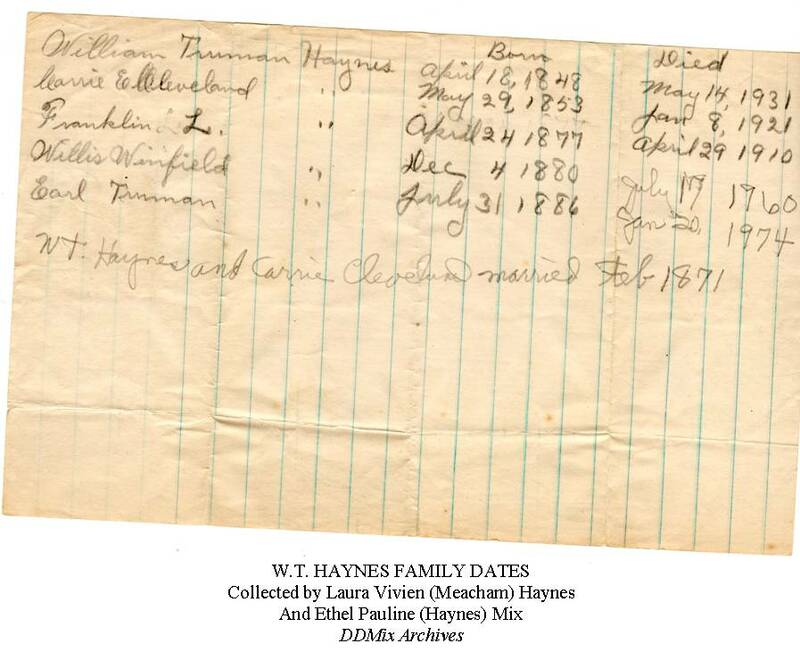 Today’s post is a handwritten list recorded (mostly) by my great-grandmother, (Laura) Vivien (Meacham) Haynes. Her daughter, my grandmother, added W.T. and Carrie’s wedding date and the death dates of Willis and Earl later. W.T. Haynes and Carrie Cleveland married Feb. 1871.